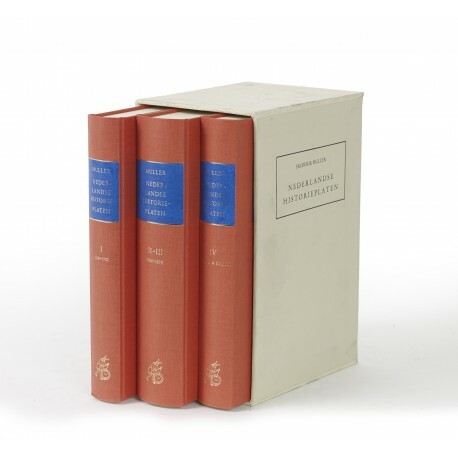 Four volumes in three (24 cm), I (Eerste deel, jaren 100 tot 1702): (2) vii (1), xviii, 460 pp. Entries 1-3030. II (Tweede deel, 1702 tot 1795): (2) viii, 346 pp. Entries 3031-5309. 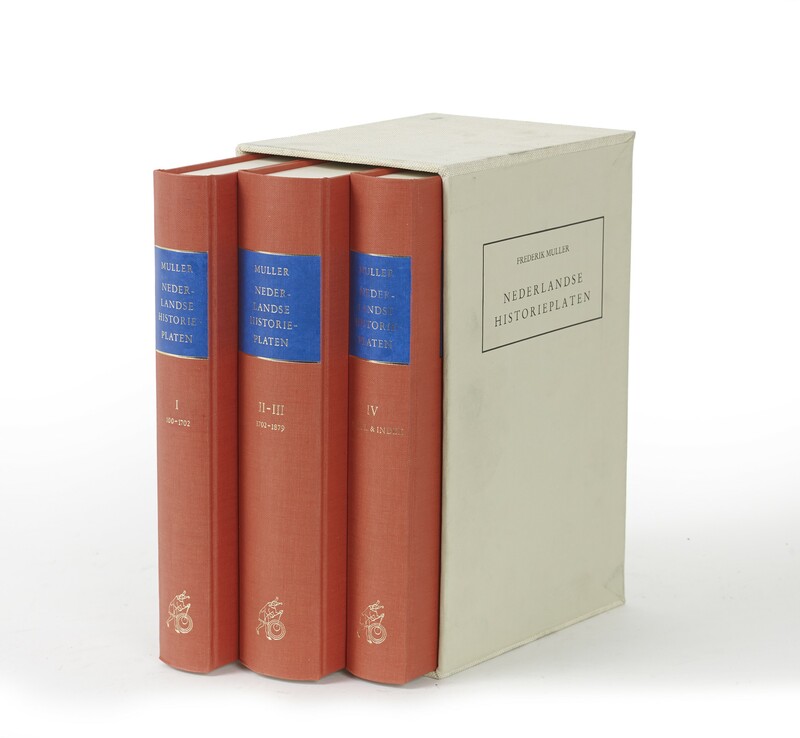 III (Derde deel, 1795 tot 1879): (2) iv, 388 pp. Entries 5310-8443. IV (Vierde deel, Supplement, Aanhangsel en Algemeen Register): (2) vii (1), 410, xcvi (6) pp. 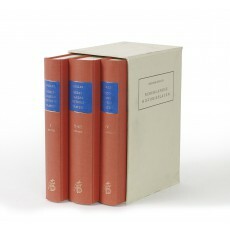 Publisher’s orange cloth, printed card slipcase. - Facsimile reprint of “Muller’s great work [Amsterdam: Frederik Muller, 1863-1882], which in its completeness and accuracy is unmatched of its kind and essential to our knowledge of Dutch history” (from a notice of the reprint in Quaerendo, volume 1, issue 2, 1971, p.69). Muller’s collection of historical and topographical prints, consisting of some 25,000 items, was bought by the Dutch State shortly before his death, and is now in the Rijksprentenkabinet, Amsterdam. ¶ Fine copy.